EmiSunshine is a 13 year old Country Music sensation from Knoxville, Tennessee. Her new single titled “90 Miles” has a powerful message about the challenges children with autism face, and Sublime Media Group was hired to produce a music video for Emi’s new single. 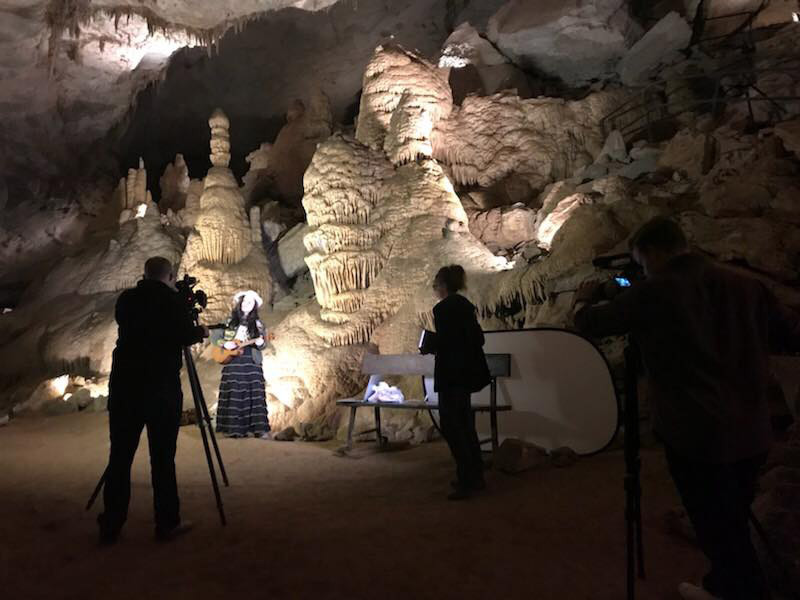 Our creative directorchose a cave as the setting for the video shoot, symbolizing the isolation that children with autism often face. 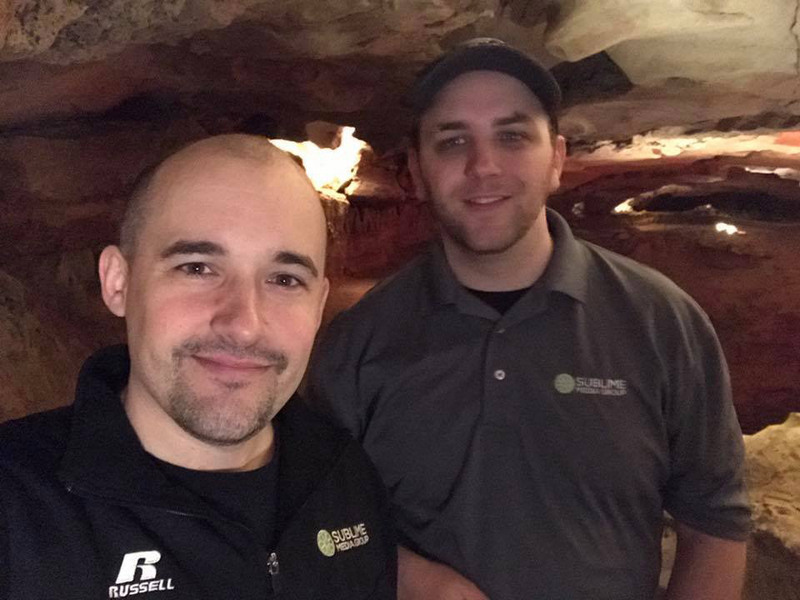 After an extensive search process, the marketing team at Cumberland Caverns in McMinnville, TN was willing to accommodate us for a day to make this project happen. We filmed the music video with two Canon C100 MK II cameras. With limited power throughout the cave, we utilized battery powered LED lights on the set. Cumberland Caverns has some incredible lighting wired throughout the cave, which made the surroundings look amazing. Our creative team at Sublime Media Group is full of talented musicians. Music Videos are always some of our favorite videos to produce. Even though we are located in Bowling Green, Kentucky, we travel all over the country working on various projects. We were excited to visit McMinnville, TN to film the new “90 Miles” video with EmiSunshine. Nashville, Tennessee is one of the many cities we frequent – producing music videos, or virtually any other type of videos, for the many clients we regularly work with. We had an absolute blast on this music video shoot. It’s not every day you get to film in a cave or work with an incredibly talented artist such as EmiSunshine. Cumberland Caverns is an amazing underground treasure. They even have concerts in the cave throughout the year. Check it out if you are ever in the area. You won’t regret it. EmiSunshine Music Video “90 Miles” debuts on Country Rebel’s facebook page. It was an honor to have a video we produced debut on Country Rebel’s facebook page. “90 Miles” has had almost a half-million views in a little over a week, and that number is still growing. This beautiful song has such a powerful message. Take a few minutes and watch Sublime Media Group’s latest music video production, “90 Miles” by EmiSunshine. I understand that Emi was in the cave for five hours for the shooting of the video? She must have been frozen?! It is an excellent video and I am not surprised it has gone viral. Well done! I live in the U.K. and am a great admirer of Emi’s work and of her wonderful family. Thank you for your professional expertise. Hey this little girl has grown up, she will be The next big star 🌟. Her voice is changing right in front of our eyes. Love you and your singing it’s so natural please do not change it EmiSunshine, your are the best. Keep it up you’re time is coming. Such an awesome song from Emi’s heart. Just caught Emi and her family’s show at The Red Dragon Room in Baton Rouge and saw her perform “90 Miles”. 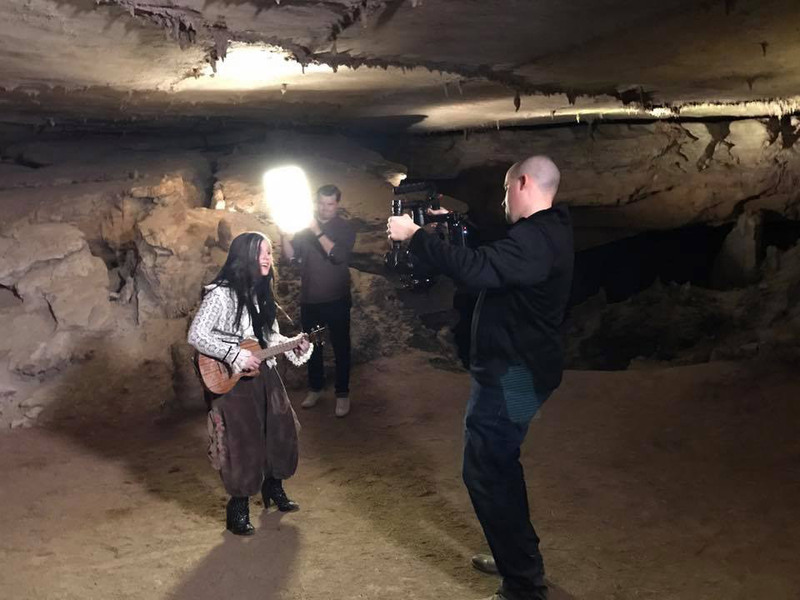 Just last year we caught an Underground Bluegrass show in those Caverns where the video was shot. Awesome job on the video, looking forward to many more in this young star’s future!